The white form is preset to search for SUV and crossover vehicles in the 'Locarno' rental office. Address: C/O Jelmoli Ag Parking Centro, Locarno, 6600, Switzerland. 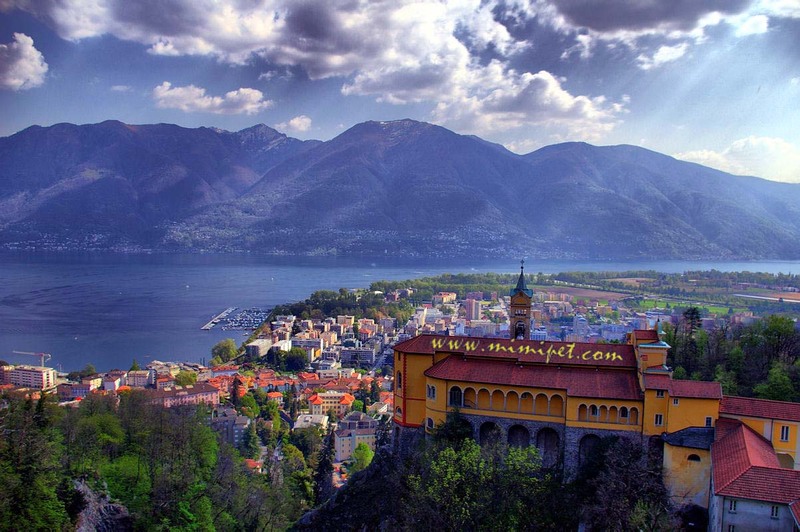 It's our only single rental location in Locarno. We recommend the following principle for selection of an off-road model for trips in Switzerland: if your planned routes are mainly within a city borders – a small crossover, while if the routes go through countryside or mountain regions – a large and powerful offroad 4x4 car. The most popular SUV models offered at rental locations in Locarno are: BMW X3, BMW X5, Toyota Rav4, Hyundai Santa Fe, Kia Sportage, Suzuki Jimny and others. While selecting your preferred model of an off-road vehicle, please examine the rental conditions. In particular, those requirements that concern credit cards – when it comes to renting an expensive car, sometimes offices in Switzerland ask information about two credit cards. If you plan to use an off-road vehicle in the mountains, it is recommended to order snow chains. This will save you from unexpected incidents. Other important equipment in Switzerland are mandatory child seats for travellers with children. 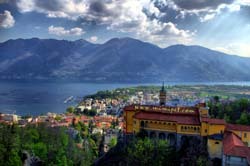 OrangeSmile.com wishes you a safe trip and green lights on the roads of Locarno! The tunnel of Munt la Schera is also a paid one. This tunnel connects the canton of Grisons with the Italian valley of Livigno. The length of the tunnel is approximately 3.4 km. There is the reverse motion there as the width of the tunnel is only 2.5 meters. The cost of one ride in the tunnel is 15 francs for cars. Fans of fast driving should definitely visit the carting center “Kart Longhi”. This outdoor center is very popular among tourists with teenagers. It is well-equipped and will appeal to both beginners and professionals who enjoy this type of entertainment. The center employs a staff of professional instructors who help make family vacations unforgettable. Those who like to relax in picturesque places will definitely enjoy the park “Minigolf Bosco Isolino”. This is a very large and beautiful park which sinks in an abundance of flowers and greens in the warm season. The main features of the park are mini-golf courses located on its territory. This will appeal to both children and adults. During the warm season, interesting entertaining activities, master classes, as well as sports competitions in golf, are regularly conducted in the park for children. For those who are most fond of water activities, it is worth visiting the complex “Lido Locarno” during summer. This wonderful recreation center is located on the lake shore. It offers its guests luxurious swimming pools with slides, spacious green terraces for sunbathing, a cozy café, and plenty of free space for active games and entertainment. There is also a large indoor pool in the center which you can visit at any time of the year.